Ronald A. Baradel joins the Anne Arundel Senior Provider Group. 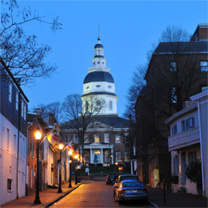 Home / News / Ronald A. Baradel joins the Anne Arundel Senior Provider Group. Ronald A. Baradel has joined the Anne Arundel Senior Provider Group (SPG), a non-profit membership organization made up of individuals and businesses who provide services to older adults, their caregivers and families. The primary mission of SPG is to raise funds and award grants to local area non-profits who provide assistance to seniors in Anne Arundel County.